The SSC Tuatara, an American supercar that can outrun a Bugatti Veyron, seems like a mirage, but it’s becoming more real every day. Shelby Supercars (not to be confused with Carroll Shelby of Cobra fame) now has an engine to power the Tuatara to world record speeds. That engine is a 7.0-liter twin-turbocharged V8 built by Nelson Racing Engines (NRE). The California-based company was previously tapped to build a 2,000 horsepower motor for the stillborn TransStar Dagger GT. However, there’s still a little work to be done. SSC would like to swap the V8’s pushrods for a more modern double overhead cam (DOHC) setup before putting the Tuatara on sale. Regardless of how its valves open and close, the V8 will achieve the 1,350 hp and 1,280 pound-feet performance targets SSC announced a few months ago. It’s also got a lightweight aluminum block, contributing to a low 2,750-pound dry curb weight. The engine also has a screaming 9,200 rpm redline, making it among the highest revving engines in any production car. 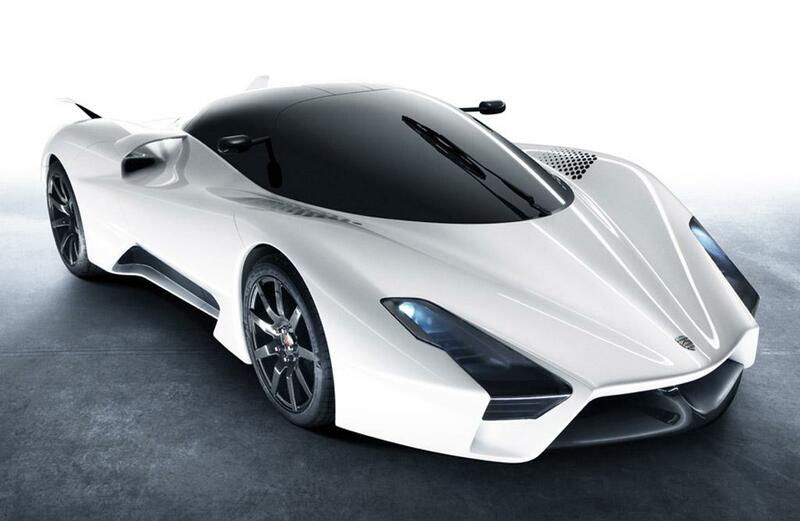 The Tuatara will need impressive specs to complete its mission. The finished car is expected to do 0 to 60 mph in 2.5 seconds and reach a top speed of 276 mph, making it the fastest production car in the world. Reaching those speeds will probably be as difficult as pronouncing the Tuatara’s name. It may seem unlikely for a small carmaker like SSC to take on the might of the Volkswagen Group, but it has already beat Bugatti once. The Tuatara’s predecessor, the Ultimate Aero, beat the standard Veyron and was briefly the fastest production car in the world, until Bugatti unleashed the faster Veyron Super Sport. The Ultimate Aero’s 6.3-liter, 1,287 hp twin-turbocharged V8 powered it to a top speed of 257.41 in 2007. Can the Tuatara do better? We’ll find out when it goes into production toward the end of the year, but we’re sure it will go farther with an engine than without. Do you think the Tuatara can beat the Veyron? Tell us in the comments.